Bluetooth is most commonly used to instantly transfer small amounts of information between gadgets within a short distance. Bluetooth can simultaneously connect a handful of devices, allowing them to communicate with each other without the need of an internet connection or mobile service. Popular Bluetooth devices typically include cameras, watches, wireless headsets, and other small electronic devices. Currently, many point-of-sale solutions use Bluetooth-based payment devices and receipt printers. 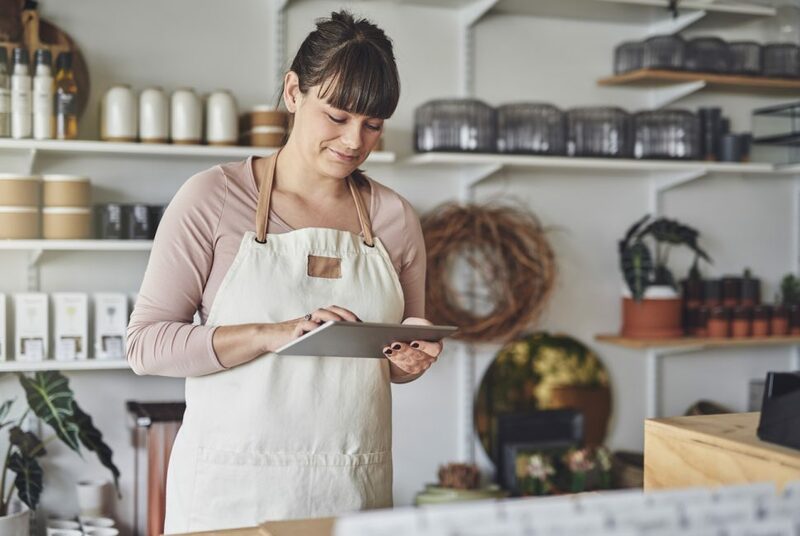 These wireless solutions allow merchants and their employees to move around their stores, engage with customers and process transactions away from the counter. Bluetooth technology allows us to process information via a short-range connection, without the need for wired connections. This freedom of movement helps us to multitask and gives our working spaces a clean and modern appearance. At first, decluttering sounds like a brilliant idea. However, it is crucial to decide whether you’re incorporating Bluetooth or WiFi. When it comes to Bluetooth, there are several big security risks you expose your devices to. Unfortunately, taking your device out of discovery mode will not ensure protection from attacks. Some of the most commonly known vulnerabilities in 2018 include Blueborne, Bluebugging, Bluejacking, and Bluesnarfing. These attacks allow the attacker to completely take over your device, retrieve sensitive data and/or spam your device with messages. To avoid these potential vulnerabilities, you would have to avoid connecting to mobile devices that use outdated versions of Bluetooth. With that said, ensuring the still risky security can turn out to be more expensive, as you may have to replace current hardware with ones that are capable of running newer versions. In addition to these security risks, adequate reliability remains a major issue when it comes to processing payments on Bluetooth devices. One of the biggest complaints point-of-sale and merchant processing sales representatives hear from merchants using these devices has been in regards to communication failure, especially during peak hours. While Bluetooth is great for small gadgets and speakers, we do not recommend using Bluetooth devices with point-of-sale solutions. As a business owner or general manager, reliability should always be your absolute priority. Wireless networks, especially Bluetooth networks are susceptible to interference and security breaches. Microwave ovens, direct satellite service, and other wireless networks can all cause interference and result in communication problems between mobile devices. How many times have you had trouble accessing your wireless network during your busiest hours? Bluetooth might be great for wireless headphones, but it is unideal for commerce. Wired networks rarely go down, so for mission-critical applications like processing payments, it’s always better to have a wired setup for your payment terminal, as well as for receipt and kitchen printers. In both urban and rural settings, we have discovered that Bluetooth solutions are unreliable, and as such we are not supporting Bluetooth for our point-of-sale solutions. We believe wired solutions are more stable and especially crucial for fast-paced businesses. We do, however, recommend wireless devices as a secondary option for line-busting or pay at the table. If the wireless network is unstable, mission-critical POS devices are still available at the station for backup. Talk to your payment processor in a secure way using PCI compliant encryption. Be accessible through your network, as communication failures can result in lost money for your business. With the Acadia POS hybrid (wired and wireless) setup you get reliability, flexibility, and the highest level of security. On top of that, you also get both the convenience of using Acadia POS on any device that you want and the security that a wired connection can provide. To view some of our compatible hardware, visit the links below or contact us directly.